When you have to make screenshots on a daily bases, to add in a manual, to report issues, to share views with colleagues, you’’ll find that the default screenshot capabilities of Windows aren’t sufficient enough. For a project I’ve wanted to create a new plugin so we can add screenshot to our work log without have to take the screenshot, save the image somewhere and then go to the web application and upload the file. As there is no (or I didn’t found it) documentation how to create your own plugin, I started to digging in the existing code base. In this post you’ll find the steps you’ll have to do to create your own plugin. 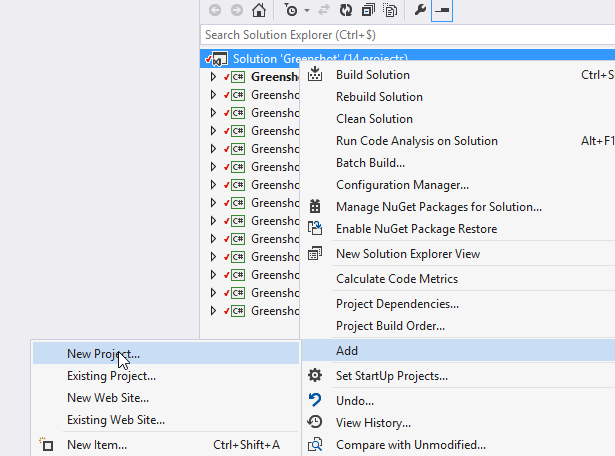 One remark, I’m a very happy user of Greenshot, and must say, even without documentation, the code base is clearly well build up and professional! 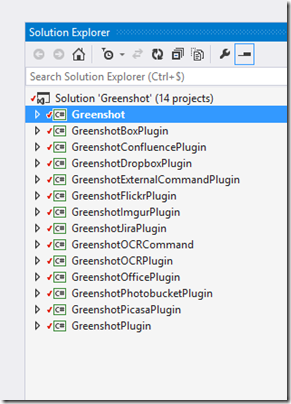 After you downloaded the source code, go to the greenshot folder and open up Greenshot.sln. 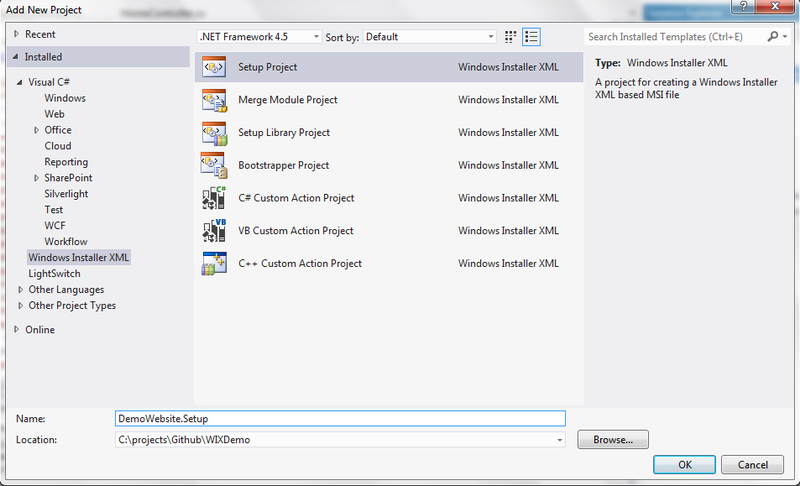 I’m using Visual Studio 2013 that’s is going to upgrade the existing projects. If you want to contribute, be sure to read the instructions on the bitbucket page! 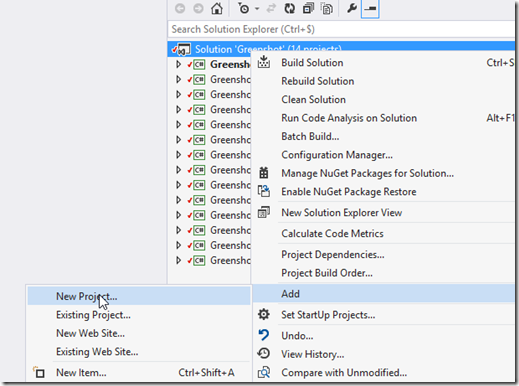 Right click on the Greenshot solution and choose to add a new project. 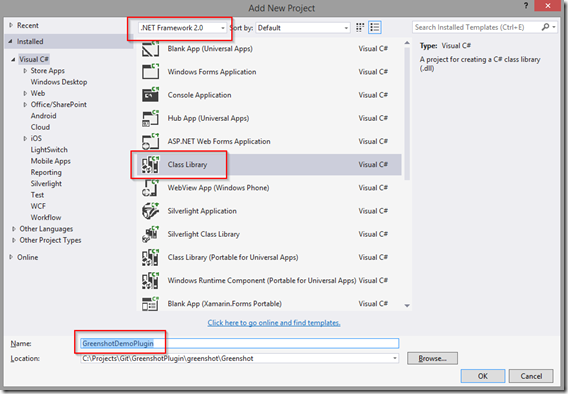 Choose to create a class library and give it a name. (in my case GreenshotDemoPlugin). 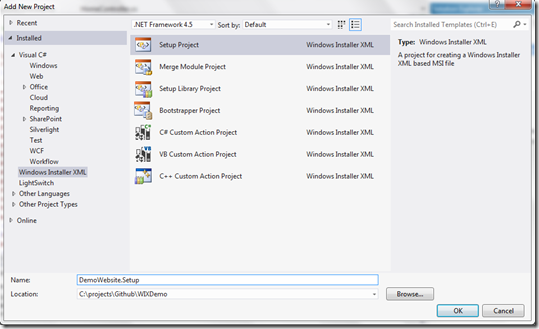 Be sure to select the .NET 2.0 framework as the rest of the project is build in 2.0. 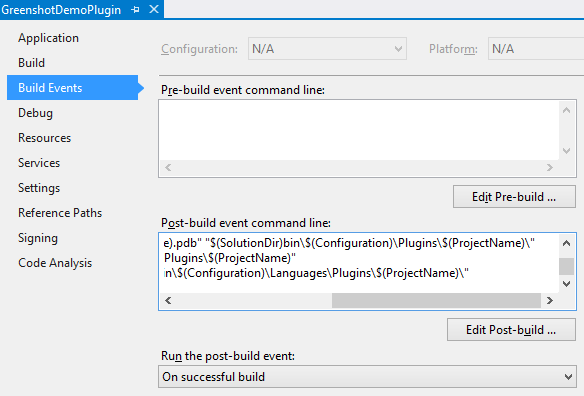 This will make sure after you build the project, it is automatically copied and placed into the greenshot plugin folder of your development environment as a gsp package file (I suppose gsp stands for GreenShotPlugin). The last statement is only useful if you add multiple languages to your plugin. 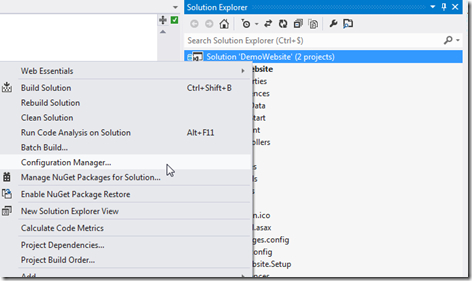 Hit save and close the properties window. 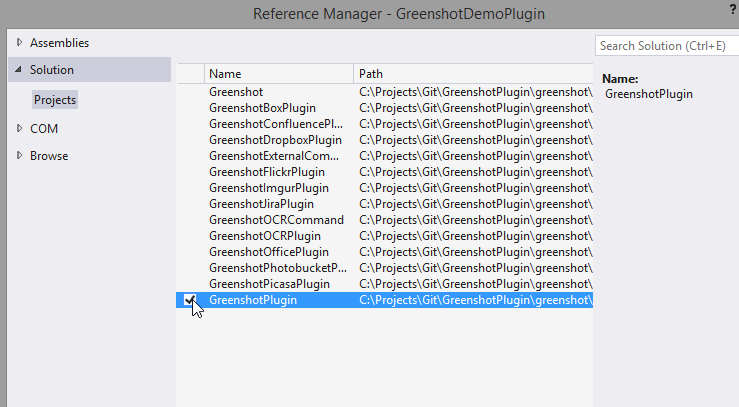 Last but not least, add a reference to the GreenshotPlugin by right clicking the references node in your plugin project and browse to the correct project and click add. Run Rebuild on the solution and you’ll see in the output window that for every plugin a new folder is created under ../Greenshot/bin/debug/plugins. You probably will see the GreenshotDemo Plugin folder there too. Now that the project is set up, we can start to add the necessary classes for our plugin. 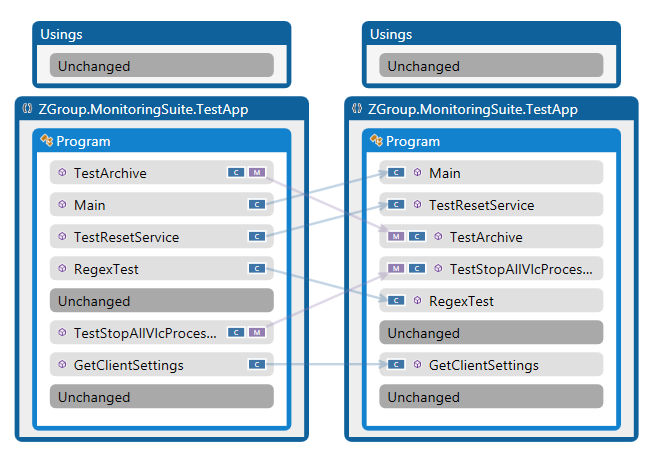 We’ll start with the configuration class that will help us with storing the necessary settings in the Greenshot config file so we can retrieve them later in the process. 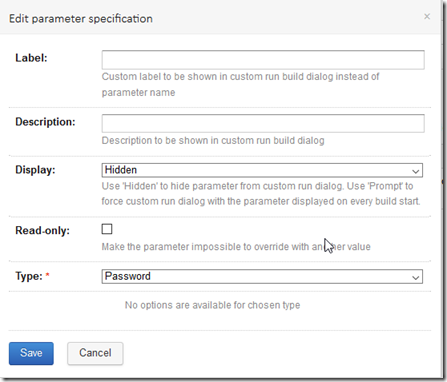 Right click your plugin project and choose to add a new class. Call it DemoConfiguration.cs. 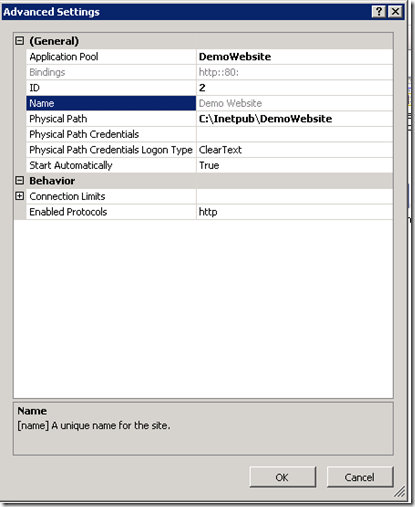 Make the class public accessible and overwrite from the IniSection class from the Greenshot.IniFile namespace. Add the properties you’ll will need to upload your images to your server or application. I’ve added the following properties: Url, Timeout, UploadFormat, UploadJpegQuality, UploadReduceColors (shameless copy from another existing plugin). 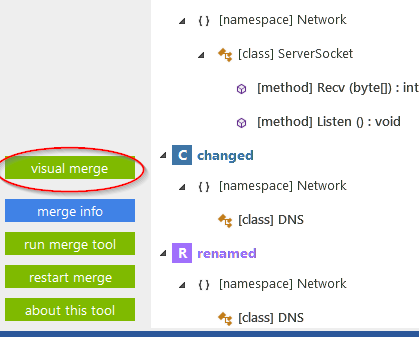 The connector class will be used to manage the connection to your webservice or REST service and how that the pictures need to be uploaded. As we are inheriting from IDisposible whe have to implement the Dispose method. Next to that, we add a constructor and an AddAttachment method. 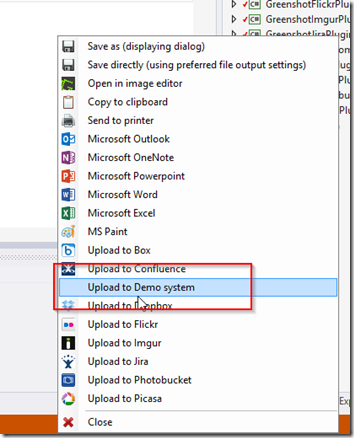 The last method is where you’ll define what needs to be done to have the image uploaded to your system. For my test system I have to send a ticketnr (for now I added a value for test, we’ll update it later), the name of the file and the image itself as base64 string. 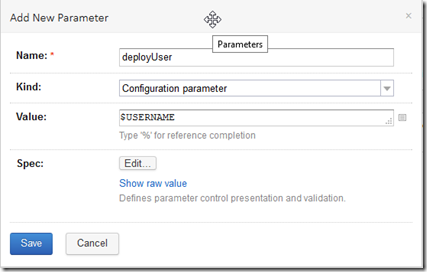 In the constructor we copy the URL of the config settings in a local Url parameter to use in our AddAttachment method. 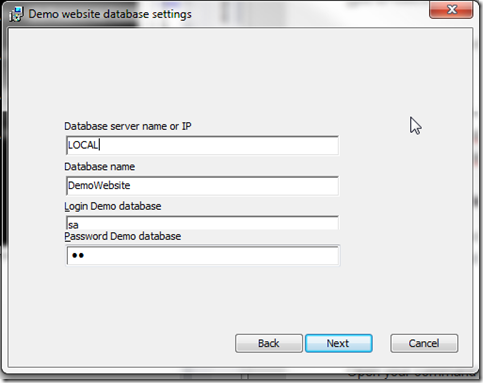 Next we’ll create a plugin class, the base of our new custom plugin. Add a new class in your plugin project and name it DemoPlugin.cs. 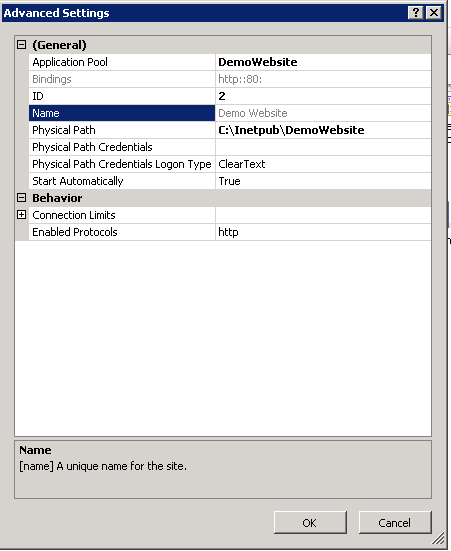 Make the class public accessible and inherit from the IGreenshotPlugin interface from the Greenshot.Plugin namespace. 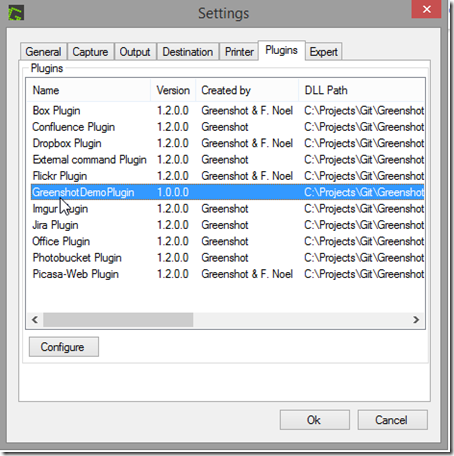 The IGreenshotPlugin interface has 6 methods defined we’ll need to implement in our class. The first method to implement is the Initialize method. 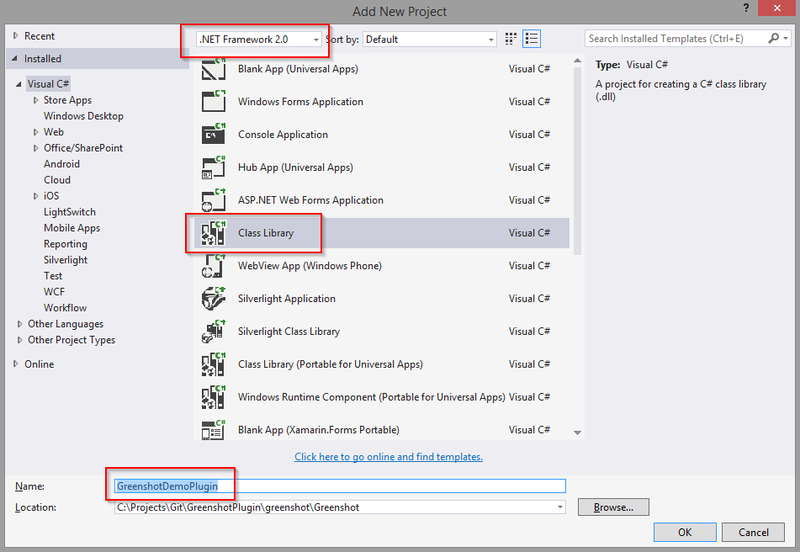 There we receive the host from greenshot and the plugin attributes that we assign to our local properties of our class. 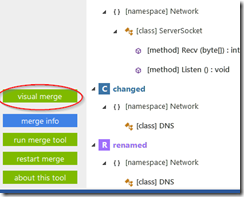 Also we read the configuration settings from our configuration class and return true. 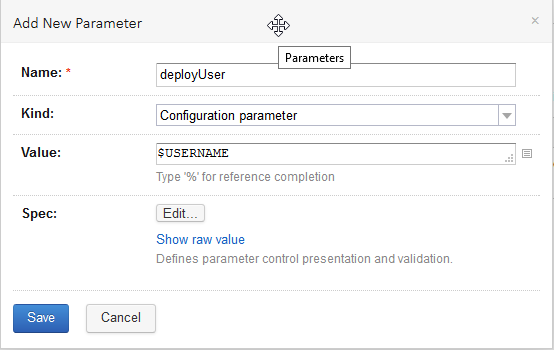 The configure method we’ll leave empty, as we do with the Destinations method. (we’ll come back to this after we created the Destination class). in the Processors method we’ll yield a break statement. 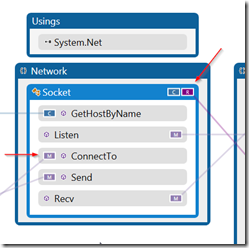 We’ll add a public getter for our connector too, that we’ll need to access from the Destination class we’re going to create next. 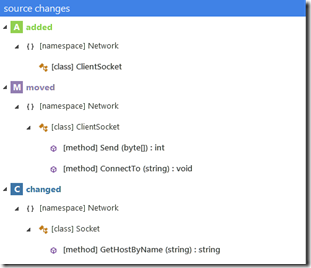 The last class we have to add is out Destination class where we bind the plugin and the connector together. 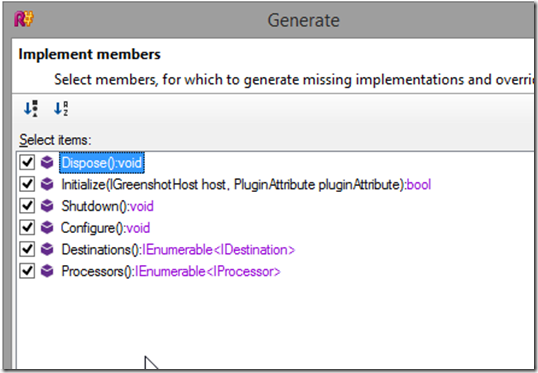 Add a new class and name it DemoDestination, make the class plublic accesible and inherit from the AbstractDestination class from the GreenshotPlugin.Core namespace. From the abstract class we’ll obligated to implement the ExportCapture method and the Designation and Description parameters. In the Designation and Description properties I fill out some random text (ideal you will be using the resource file to serve multiple languages but that can be added later on). The ExportCapture method is the main method where we’ll define what will happen if we make a screenshot with Greenshot. 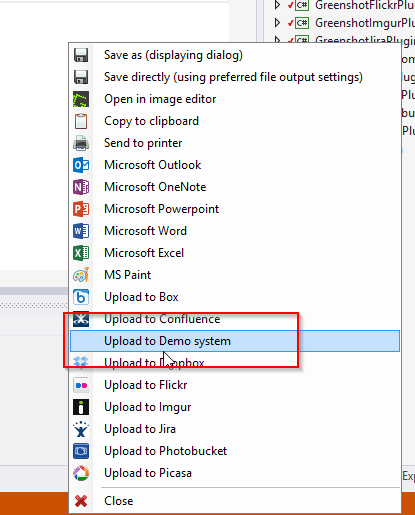 We gather the necessary information about the screenshot (name and settings) and call our connector to upload the screenshot as shown below. We’ll need to add a reference to the System.Windows.Forms namespace because we’ll make use of a buildin form of Greenshot that has a link to the forms namespace. (also for the messagebox we want to show). We’re almost there. 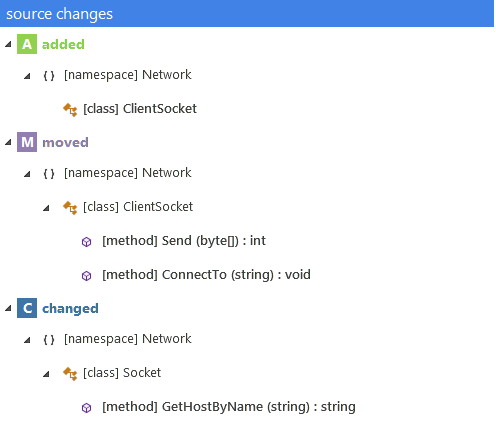 We now created all necessary class for a (very) basic plugin. With some small adjustments we can and run our plugin for the first time. If you implemented everything properly then you can now just press the run button (mark the Greenshot project as startup project if that’s not the case yet). You’ll see the Greenshot icon appear in your windows tray icons, hit the print screen button and mark an area on your screen. 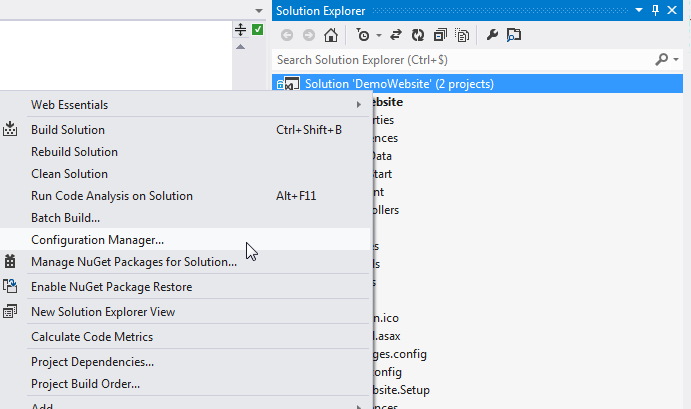 If you release your left mouse button a context menu should appear. In all the choices you have their (depending on what plugins are installed) you should have an “Upload to Demo system) item. 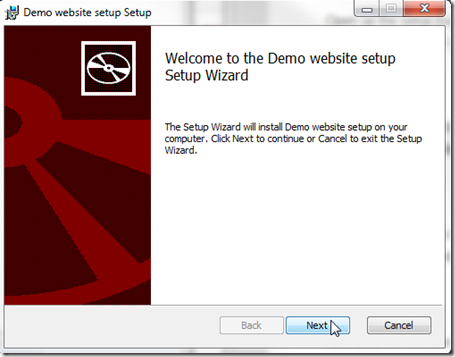 Select the item and your screenshot should be uploaded to your demo system. 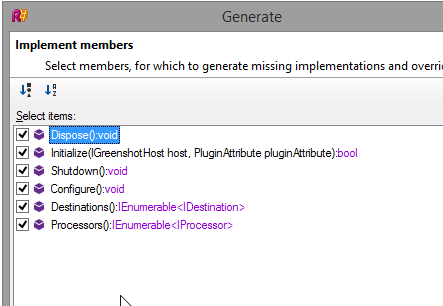 If you have any exceptions or problems you can always look into the Greentshot.log file that default is created in the folder “C:\Users\YOURUSERNAME\AppData\Local\Greenshot\”. 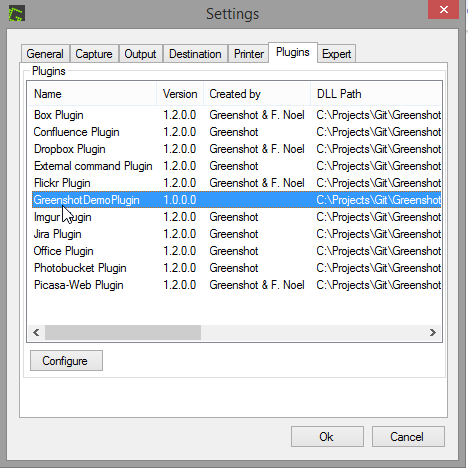 Your plugin should also be in the list of plugins, right click on the Greenshot icon in your tray and left click and select preferences. 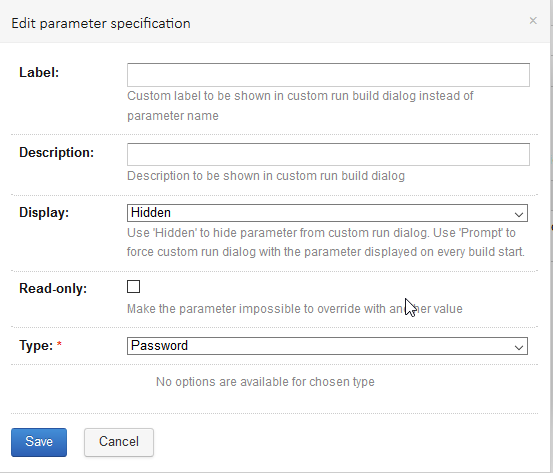 On the Plugin tab your plugin should appear (but you can’t make any setting changes). You can find all created classes and settings on my Github page https://github.com/BartDM/GreenshotPlugin/tree/master/GreenshotDemoPlugin. Off course is this only a rudimental plugin that we’ve created. In a next post we’ll add some screens so the end user can enter some data and can alter some settings from the UI. 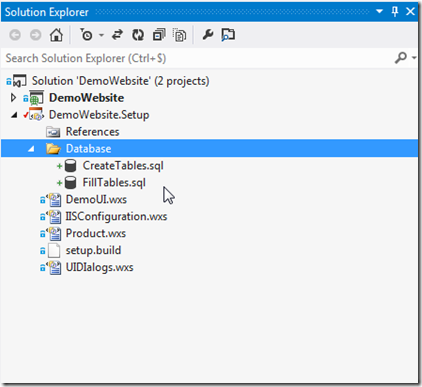 This entry was posted in Development on 15 May 2015 by Bart De Meyer. This time a not so technical blog post. Due to a very busy schedule the last few months, there wasn’t enough time to take up blogging. Let’s try to get starting again. 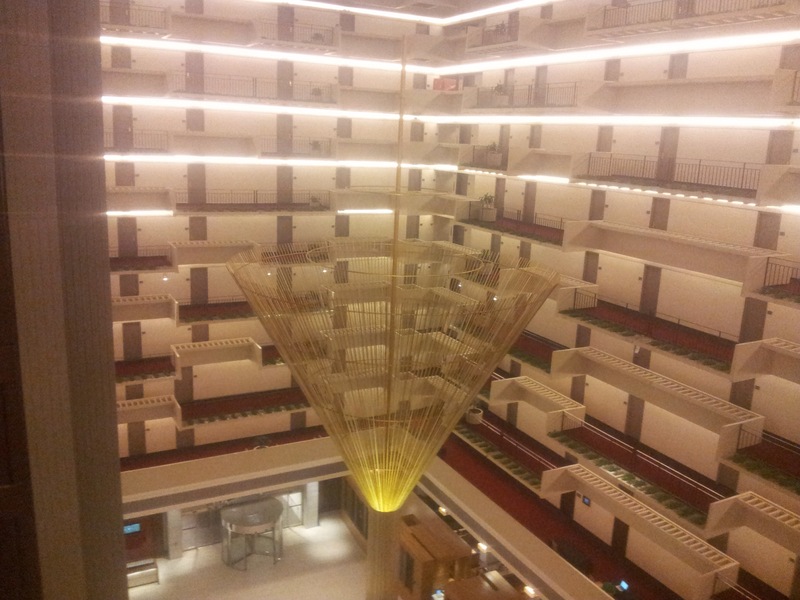 First post will be about my first trip to the United States, where I’m attending the Xamarin Evolve conference in Atlanta. From the beginning of 2014 starting with mobile development was on my wish list. Due to the work load from the start of this year until now I was only able to test around a bit but never had enough time to complete my first app. We’ve decided to work with Xamarin to create our mobile apps on different operating systems. 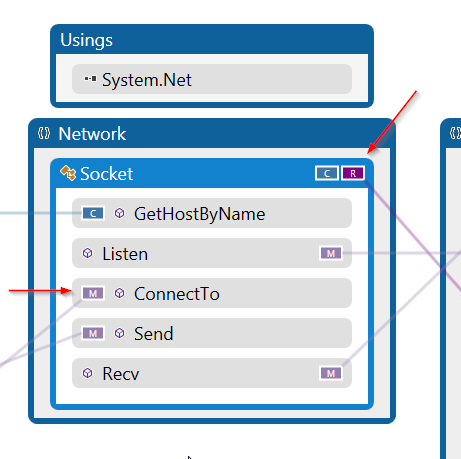 Not only because I’m specialized in the .NET framework, also the ability to share code between the implementations of the different frameworks is a big plus and time saver! The conference included (if wanted) a two day training course, that I wanted to attend to get to learn the best practices, the way to structure your code and so one. On Monday morning training started with breakfast :). 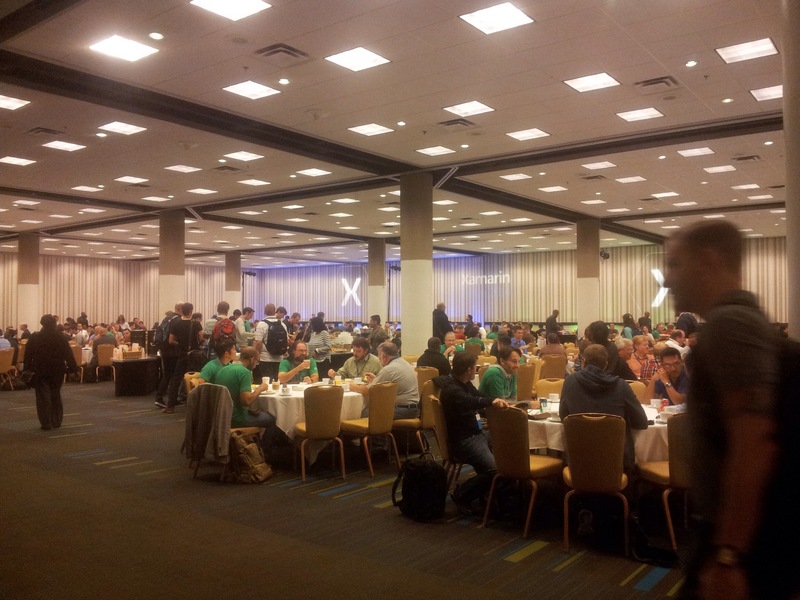 In the big meal hall it become obvious that Xamarin is hot. During the kick off session the numbers came up. 700 people are following training alone, what is more then the total of attendees for Evolve 2013! Next important fact in the kick off was that Xamarin Forms, although just released 3 moths ago, was the most requested subject for the training. 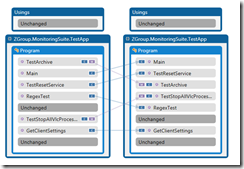 This is reflected in the training schedule where a lot of sessions are based upon the Xamarin Forms implementation. I signed up for the fundamentals track as I don’t have an very deep knowledge working with Xamarin. First sessions where the basics about mobile development with Xamarin Forms. Although my lack of knowledge, the sessions felt very basic, and on a bit of slow pace. I saw a few interesting items but for the most of the content it was a bit tedious. 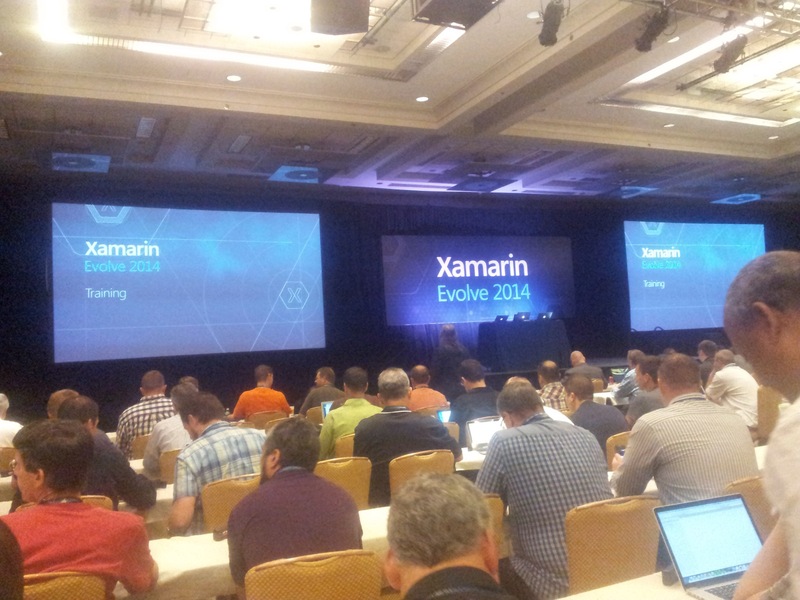 In the afternoon, after a workshop, XAML was on the program. With some previous experience in WPF was the session about XAML and the data binding a bit the same story as before noon. What I have to emphasize is how helpful the Xamarin people where during workshops and general questions! Sadly I learned more from doing the workshops and asking the experts then from the sessions on this first day. To finish of the day all training attendees were invited for dinner in a close by restaurant Stafs. 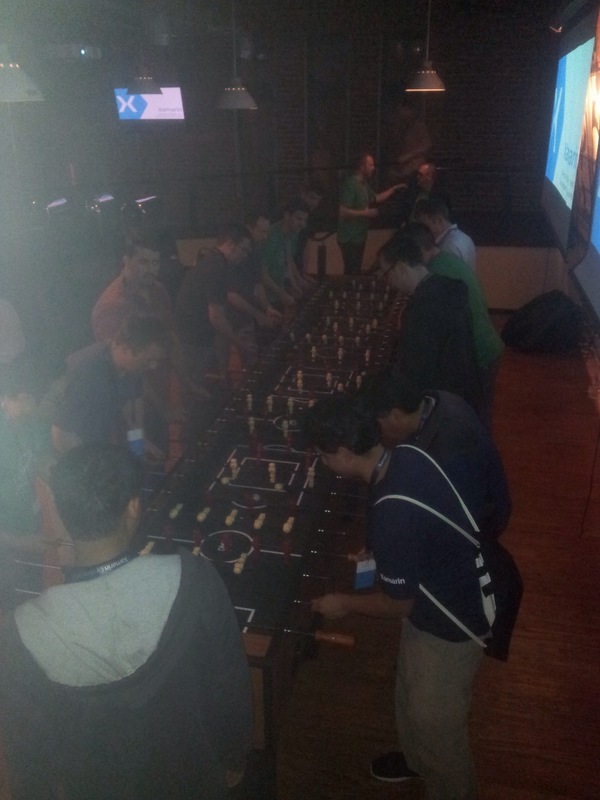 Even there you sense the open mind of the Xamarin employees and other attendees. A perfect place to mingle and hand out experiences with mobile development between each other. Together with Stella on draft, a perfect ending of the first day of conference. Day 2 started a bit earlier then I was hoping due to the jet lag still being present. Waking up at 4 o’clock in the morning wasn’t what I was hoping for, but yeah. Where day one was missing some body for me, day two was a lot better. 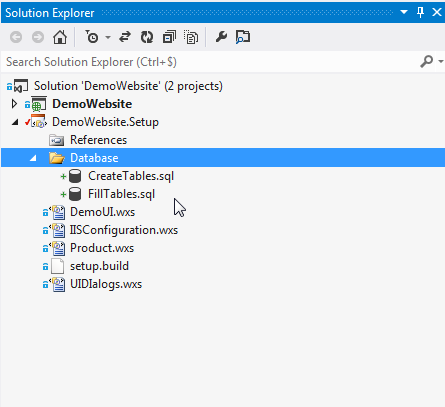 Starting with navigation in Xamarin Forms to SQLite and Mobile Data to Web Services gave me a lot of useful information and best practices that I want to implement directly in the first app I’m planning to build. And that was just before lunch, in the afternoon sessions went on on a better pace with subjects Extending Forms and publishing your app together with labs and time to play around with experts around you. 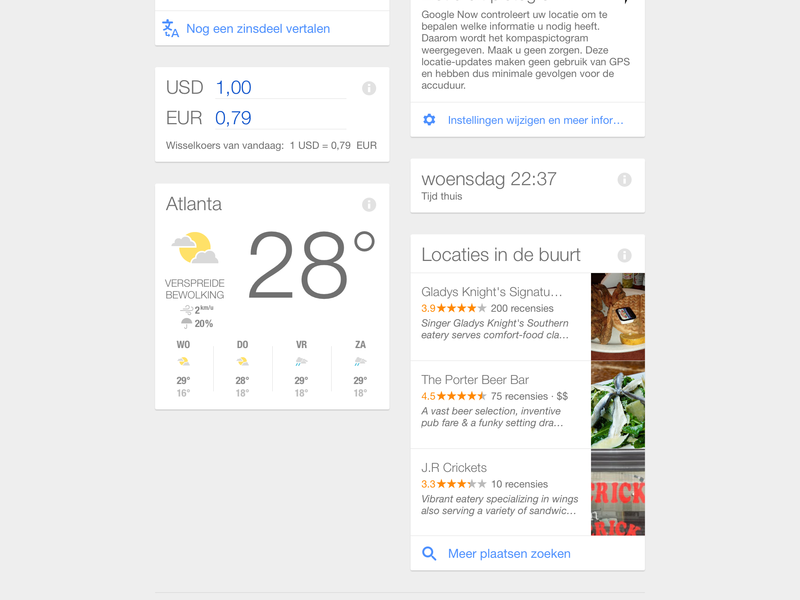 This entry was posted in Uncategorized and tagged evolved 2014, xamarin on 8 October 2014 by Bart De Meyer.